Excelsior Wire Harnesses There are	3 products. This sale is for one Excelsior braided wiring harness midco magneto generator models. This sale is for one Excelsior Super X wiring harness Fits 1925 to 1928. 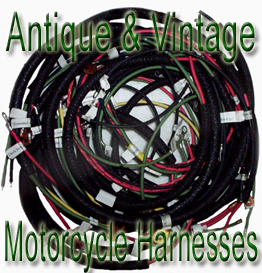 This sale is for one Excelsior Super X wiring harness Fits 1929 to 1931.